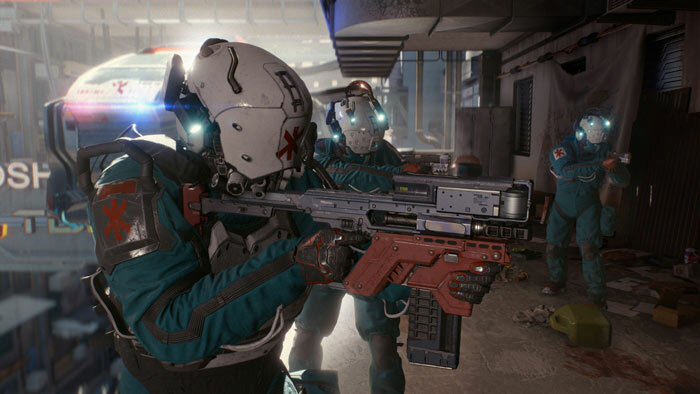 At E3 2018 CD Projekt Red published the Cyberpunk 2077 trailer on YouTube for the consumption of the masses. However, behind closed doors at the event the company hosted a PC gameplay demo, with a full 50 minutes or so of action in front of an invited audience. There are many analyses of this long live demo, like this one, which are worth a look if the shorter demo left you wanting more. Unfortunately, as yet, no footage of this session has been shared. If you are at all enthused about Cyberpunk 2077, I bet that you are wondering if this is one of those games that will inspire an upgrade or new build PC. That raises the question of what kind of PC hardware the 50 minute demo was demonstrated on. One of the journos over at PCGamesN sat in on the gameplay demo and reckoned that CD Projekt Red must have employed some next gen hardware or perhaps top-end current GPUs in SLI to power the graphically stunning 4K 30Hz experience. Reports from the demo showcase say that there were no noticeable frame rate drops, stuttering or similar issues during the 50 minute session. The upcoming game is based on a "massively updated version of the REDengine (version 4)," notes PCGamesN. However the game doesn't aim at the same kind of 'realism' as The Witcher 3, as it presents a more man-made stylised comic book aesthetic. With optimisations and refinements one would hope that the game engine becomes faster and more efficient as the game release date gets nearer. 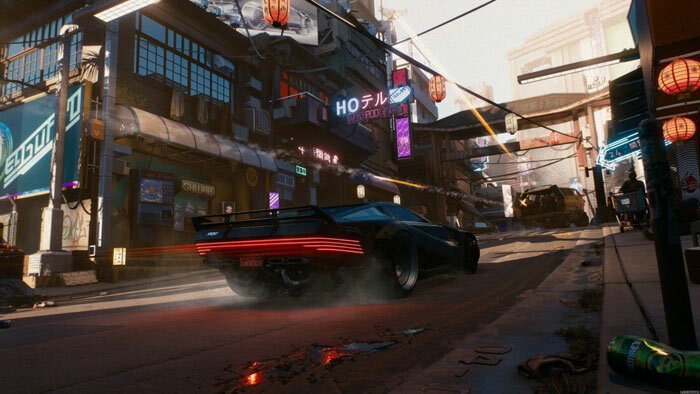 Cyberpunk 2077 will be further showcased at Gamescom 2018, in August. This creates more questions than it answers really. Did it NEED that 32GB ram? Did it NEED that nvme drive? How far pushed was the GPU and CPU? Is my 7700k/16GB RAM going to be enough for max settings with the right GPU? Will this run on all high end 10 series cards or AMD equivalent at various settings? Will it need a 1080ti or better to max the game out even at 1080p or is that just for 4k? In other words did I and many others spend nearly 2k for a machine last year that's going to disappoint me in 2 years time even if I upgrade the GPU? I have a lot of faith in CDPR, I hope (and think they will) get optimisation down, I would cry if they turn into the next ubisoft. The demo was running 4K 30FPS I assume?? That is 4 times the number of pixels than 1080p. So to get 60FPS at 1080p you probably will need something much less powerful than a GTX1080TI unless we have some new stuff like RTX added. That is the hope and assumption CAT, obviously they are going to use the best parts available so that it runs at it's absolute best for journalists, but I want to know which parts (if any) are way overkill for the game in that rig and which parts are actually going to be needed to get a decent experience out of it. Ah if they add RTX it would make this game look absolutely incredible (it already does), RTX with this game would be worth a GPU upgrade for sure! Like I said, as long as they don't pull a ubisoft on us (unnecessarily downgrade the graphics on release in a stupid attempt to stop it murdering the CPU to submission through crappy optimisation) I'll be happy! This wasn't any kind of announcement about required or recommended system spec, it was just an answer to the question ‘what did you run the demo on?’. That it was running extremely well on parts easily attainable today is a good sign given how far out the game's release is likely to be (no date set yet). Many games out now already need something like a 1080ti to play at 4k smoothly. I'm hoping and expect to be able to play it fine on a system that's 9 years old *shrugs*. If you want guaranteed longevity for the money then console gaming calls - it's very likely this will be released for consoles too.